A true gaming experience can never exclude proper audio quality. In fact, many popular games have impressive soundtracks which made history. The best PC gaming speakers offer the purest audio quality. From memorable Assassin’s Creed tunes to western tracks in the background as you wander the world of Red Dead, the best PC gaming speakers can offer an improved gameplay experience. The best speakers don’t need to be the loudest. It is often that gamers value the crispness of the sounds and the way it enhances the gameplay experience. But the technical side is also important. 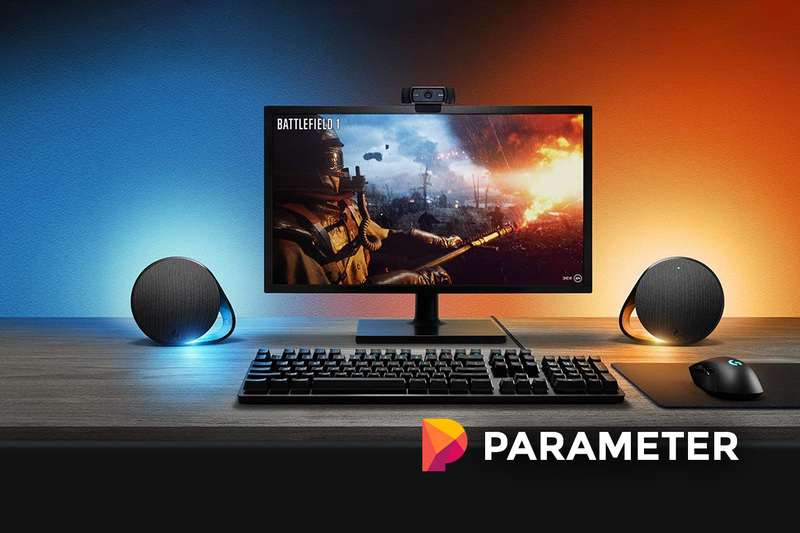 With various connectivity options, users can hope for future-proof PC gaming speakers with good acoustic quality. If you don’t know where to start looking, that’s where our latest guide will help you out – we’ve picked apart just about every option on the market, testing them thoroughly, pouring over manufacturers specs and carrying out blind tests. The following 10 picks are what our experts have picked, we’ve reviewed each speaker system and broke down the pros and cons of each one. We have listed speakers which will suit a range of budgets and requirements. If you are in a hurry, here’s out top 4. Best Overall – with 400 Watts and durable construction, Logitech’s Z623 400 Watt Home Speaker System is the top choice. Best Budget – including a 5.2” subwoofer, the Cyber Acoustics CA-3602FFP 2.1 Speaker Sound System is the leading option for those on a budget. Best Premium – based on Dolby technologies, the Razer Leviathan: Dolby 5.1 Surround Sound is the ultimate choice. 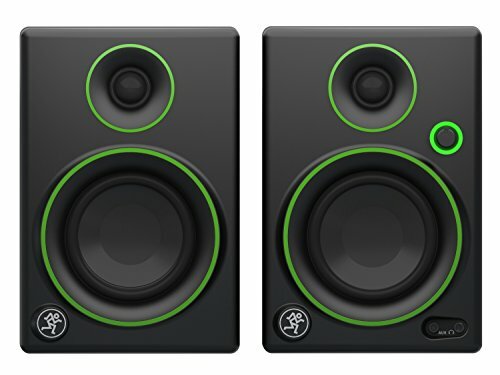 Best Value – with a frequency range between 80Hz and 20Khz, the Mackie Studio Monitor Black w/green trim 3-inch CR3 is the best option with its neutral sound profile. 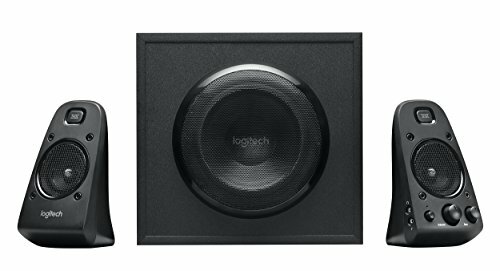 Using a subwoofer and two satellite speakers, the 400-Watt Logitech system is highly praised by users. It comes as one of the options for both volume and quality, which can be the norm in most PC games. With a 130-Watt subwoofer, the immersive gameplay experience many gamers look for can impress most people. At 400 Watts acoustic peak, the speakers are powerful enough for RPGs, shooters, and other types of games. The controls of the system are minimalistic. This means gamers won’t lose too much time adjusting the audio quality as they need to. In fact, there are only a few buttons to consider. Volume and bass adjustments are placed next to the power button. The layout is not special, but it is very practical which is the most important in this category. Connectivity options are also multiple. Actually, up to three devices can be connected at the same time to the speakers. Users can connect their PC, TV or gaming console to the speakers as a result. A standard 3.5mm input is the norm. But the speakers also come with an RCA input which can connect a number of TVs to the speakers. There is no WiFi connectivity, which might be a small issue for gamers looking to declutter their desks. With THX certification, the speakers offer quality acoustics. In most cases, the speakers are not distorting the sound as well. But the final results also depend on their positioning and on the way they actually direct the sounds in an environment. For gaming, having both a subwoofer and speakers for high notes can come with a complex result. With a subwoofer and satellite speakers, the Cyber Acoustics CA-3602FFP 2.1 Speaker Sound System is mainly recommended for quality over volume. It offers an output of 62 W peak and 30 W RMS. The main woofer with its 5.2” delivers quality bass without loss of acoustic performance. The 2” satellite speakers are among the best-looking in the class, with a distinct piano black finish. If the system can easily be stored on a desk to be close to a computer, users can also make the most of its corded controller. This controller actually simplifies the entire experience of adjusting volume and sound quality. Adjusting the volume is simply made by turning the wheel on the top of the controller. But this corded controller is not only used for sound performance as it also comes with standard 3.5mm connectors to allow gamers quicker headphone connectivity. The control pod also comes with a distinct light which signals the moment the system is turned on. The subwoofer has been based on a wooden case. This case does a good job at insulating sounds and vibrations which might make the speaker perform better than other plastic-based subwoofers. Even with wooden construction, the subwoofer and its satellites are easy to install. As with many similar sound systems, they first need to be connected to a power source. The satellites also need to be connected to the subwoofer. This is all gamers need to do in order to enjoy the best acoustic performance from the system. However, the main differentiator from other low Watt audio systems comes with its control pod. Even the bass volume can be controlled from the pod. As the volume control, the bass control is also made using rotational movements with the built-in bass-control wheel. With a cable length of 6 feet, this control pod can actually be placed anywhere on the work desk. However, as with all audio systems, a few drawbacks need to be considered. Luckily, most users are actually convinced by its acoustic quality. It is its physical characteristics which might stop if reaching its full potential. There are a few cables which run to the and from the subwoofer, such as the power cable. This is why the actual freedom of installing the system anywhere in a room is not the case. Users mainly seek the place nearest to a wall plug, which might not be the best approach for the top sound quality. However, this small inconvenience is not specific to Cyber Acoustics as it can be seen on other systems as well. This compact system is one of the most versatile solutions for crisp mid and high range frequencies. With a total power output of 45W, it might be more than enough for a gaming PC and small to medium rooms. With the main subwoofer and two satellites for high frequencies, the system is one of the distinct options both for how it uses and for how it performs. Based on a distinct controller, the system comes with basic volume and bass controls. But it also includes 3.5mm connectivity for headphones or for a microphone. As most gamers would expect, the bass performance is good, but it can’t be compared to the bass of large speakers. It is why the audio system is actually advisable for mid and high range frequency performance, which is still the case with most desk-based speaker systems. The surround sound performance is also there, but the user might need to be closer to the speakers than expected. However, this is often the case even when connected to a PC or a gaming laptop. However, most gamers need to know that the speakers are still powerful enough to wake up the neighbors. It is why the system should be used in a way in which it would not disturb those in its immediate vicinity. When it comes to extra characteristics, there are not many features to note as the system is made to be practical. However, the added LED glow light can let gamers know when the speakers are turned on. However, the same glow light changes its intensity according to the bass level. If this can be a distinct feature, most gamers also need to know the light can’t be switched off, so it might disturb them, especially when playing in the dark. But since the light is not actually bright and only aimed to light up the logo of the manufacturer, it might not be such an important issue after all. With adjustable Jacks, the system can be used with various devices apart from a PC. It can also be connected to the TV when watching movies. Gamers who want to move over to a console such as the PlayStation or an Xbox also have the ability to listen to the best audio with simple connectivity. Since the Genius system was in production for a number of years, its latest release also comes with an improvement in power output. The audio system is actually made to be 20% more powerful than its predecessors. With a powerful subwoofer and a sounder, the Razer Leviathan: Dolby 5.1 Surround Sound system is among the most interesting options for gamers looking for Dolby Sound quality. Covering frequencies from 180 to 20Khz, the audio system is able to produce immersive gameplay experiences. With a dedicated subwoofer, the PC gaming speakers are based on truly solid experience. Even when not placed immediately next to the PC, the sound quality is still there. In fact, this can be based on the 5.2” downward facing subwoofer which creates a different soundwave. But the speakers also come with Dolby Virtual Speakers, Dolby Digital and Dolby Pro Logic II technologies. 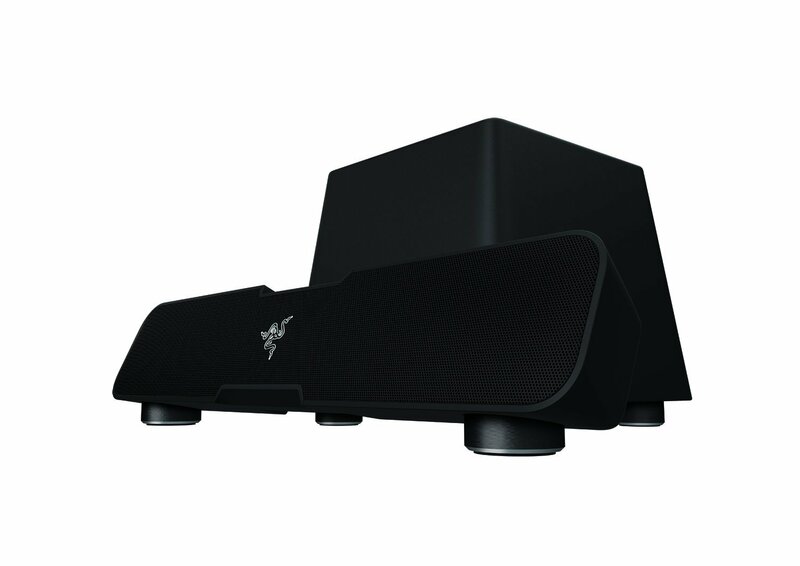 Combined with the Razer Leviathan, the speakers will convert the audio from the PC’s sound card. With a dedicated sound bar, the audio system actually offers a 5.1 system. This sound bar includes 4 optimized drivers for that immersive gameplay experience. But these drivers and technologies also mean that the system is compatible with movies and any other multimedia from the PC. It is why the system is often considered as an all-in-one solution for games and every other audio need. But the system is quite compact, unlike most gamers would expect. The sound bar, for example, comes with a length of just 50cm. This is already shorter than what is seen with most other sound bars. At the same time, users might also consider the subwoofer’s placement away from the desk, and this would offer even more freedom and space on the desk. In fact, many gamers only leave the soundbar on the desk as it already comes with a compact design. Featuring Bluetooth 4.0, the sound system can also be connected to other smart devices such as a smartphone or a TV. With cordless connectivity, it also suits multimedia purposes once gaming is over. This makes the system quite versatile and highly tempting in its price range. It is often believed that PC gaming speakers can’t look good and sound good at the same time. But this is not the case with the Logitech’s audio system which is made to fit true modern standards. As their name suggests, the speakers come with synchronized lights. It means the lights switch their color and intensity according to the audio profile of the game. This can make it even more interesting to play action games but even other types of games. In fact, it is only the high-frequency speakers which come with these lights and this is why gamers can actually place them in the locations which work best for them for the visual spectacle. The manufacturer even states that its product’s RGB colors are what game developers actually intended for their games. It’s unlikely that’s the actual case, but still, the lights offer a distinctive identity to the audio system. At 240W, the gaming speakers offer more power than users actually need. With an impressive soundscape, gamers can create a more realistic environment, right in the comfort of their own homes. With impressive bass, there is no doubt that racing games, shooters or any other action-packed games offer a more realistic and explosive audio experience. Coming with Bluetooth connectivity, even the satellite speakers can be considered for their surround effect. With no wires to worry about, they can be easily activated when playing games. But wired connectivity is possible on the subwoofer, which receives the quality audio signal from the PC. With USB and 3.5mm ports, the audio system easily becomes an up to date system. However, since the gaming speakers come with a more complex design, they are not as quick to install. For example, in order for the LightSync to work, users still need to install Logitech’s software first. But once installed, the gaming speakers can impress with their overall performance. The Cyber Acoustics Bluetooth Speakers with LED Lights system is made for those seeking maximum versatility. Since the audio system has integrated Bluetooth connectivity, it can also be easily paired with smartphones. In fact, it can save gamers’ money as they might not want to purchase an additional sound bar as a result of this wireless pairing option. But most importantly, the speakers come with top audio quality. The speakers are part of a line of audio systems from Cyber Acoustics. They come with a peak power of 32W which situates them around the balanced performers from the manufacturer. Of course, higher wattage audio systems are made by Cyber Acoustics, but they might not be as fitted for gaming purposes. With a 4.25” subwoofer, the gaming speakers have the right bass, without being overly noisy. But one of the marketing strategies of Cyber Acoustics includes built-in lights. It is these lights that the manufacturer aims to offer to attract users who need a better visual identity. Green, blue, red and yellow is just a few of the colors users can select for their own gaming mood. With the benefit of two 2” speakers on the satellites, the audio system is among the best-looking options in the class. The styling of the gaming speakers is impressive. When placed together, all 3 speakers use the same contour light to offer a dynamic performance, based on the actual action or the sounds in games. It is why the speakers are mainly recommended to be placed closer together for an added visual impact. But there are a few things Cyber Acoustics needs to change with possible future releases. If the audio quality is fine, the manufacturer can upgrade the subwoofer for a bit more power. At the same time, the issue of the controls seems to be a problem for many users. The audio system’s controls are not visible as they are not placed on the front side of the speakers. Situated on the right side of the subwoofer, they are certainly not easy to see. The last thing gamers want to do is to actually look for these controls while immersed in a game. Of course, it can also be a problem which just takes some accommodation with the controls. But most users actually state the manufacturer needs to find a way to place them on the front side of either of the 2.1 system’s speakers. These amplified speakers can be one of the top options for compact designs. At 24W, they offer sufficient volume and audio quality to suit all types of games. But their compact profile is what mainly sees the speakers as a versatile option which might not even need too much space on the desk. But unlike most users would expect, the compact speakers don’t struggle in the department of audio quality. In fact, they are placed in quality wooden cases which ensure they are actually a quality choice for those who seek audio crispness before strong bass. The high-quality finish is what recommends the speakers for various desks. It is often the case that gamers choose their desks and PC accessories based on design. With an attractive profile, the gaming speakers offer an impressive look, which resembles the speakers seen in recording studios. This attention to aesthetics is also seen with the controls. These quality controls allow gamers to set the volume and bass level. Audio in jacks is also added so that connecting them to a computer or gaming console is easy. RCA and 3.5mm cables are included. 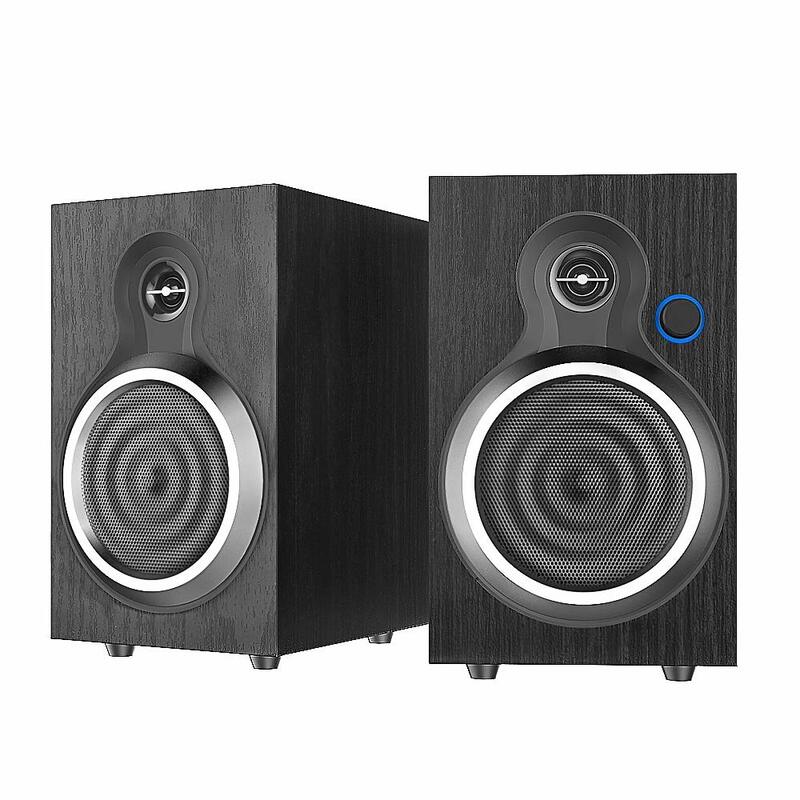 Since the speakers use quality materials, they are also covered by a 2-year product warranty. However, the speakers suffer from the same problem seen in other similar products. The volume rocker is situated at the back of the speakers, together with the bass rocker and with the on/off switch. This means whenever a user needs to change audio preferences, the speakers need to be turned and time lost if this is done during a game. 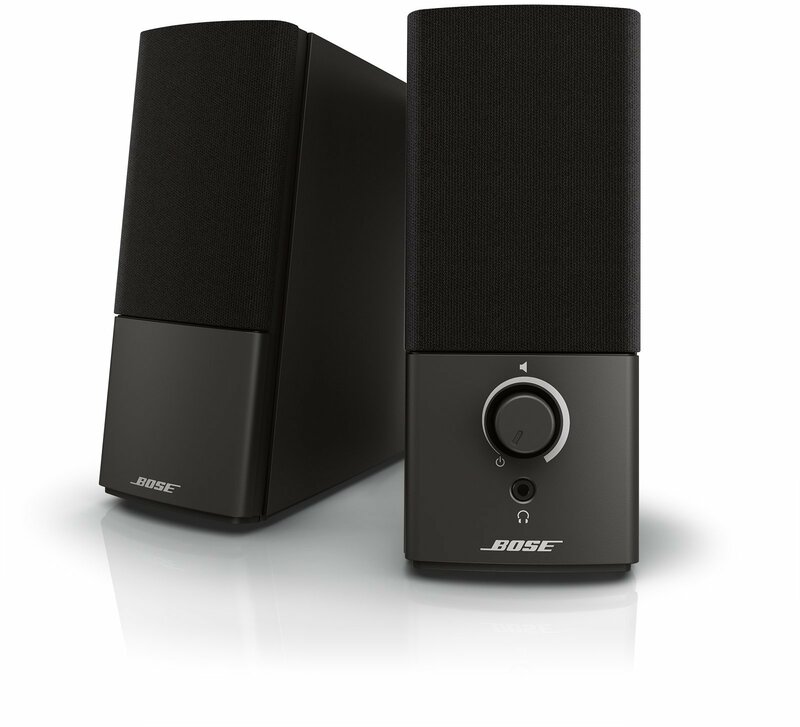 These simple speakers are true to Bose reliability. They do their task well and this is why the small speakers can actually offer constant sound quality. This can be important with some types of games. While PC gamers can’t really expect deep bass, the speaker does a great job when it comes to maintaining audio quality at all volume levels. There are not too many speakers which don’t distort the sound at their highest volume. But at the same time, the quality of the acoustics is truly impressive and it feels like the sound is getting out of the speakers for a more realistic experience. If gamers do not really want to deal with the problems deep bass comes with, such as waking up those sleeping in the house or apartment, Bose’s speakers are one of the few options. At an affordable price, they are actually offering better audio quality compared to entry-level speakers, which might still not make gamers think they are losing out too much when it comes to bass. As long as gamers want to keep their speakers small to fit on the desk, the Mackie Studio Monitor speakers are a high reward option. These speakers are actually made for studio work and as a result, they come with impressive audio quality. This audio quality covers the spectrum of 80Hz to 20Khz and it represents one of the most viable options when it comes to audio quality. Furthermore, the speakers are also among the most interesting options for those seeking true audio quality, which might be required for game soundtracks made with extra effort or popular collaborations. Of course, for the general games, the speakers might not be worth the investment. But those who want to experience immersive gameplay might have no other option in this price range and in this size. Even if the speakers are made for studio work, they are still easy to connect to the PC. With RCA connectivity, they can also be connected to gaming consoles when users want to switch their games from the PC. Since the speakers are compact, they can also fall under the trap of being placed in places they shouldn’t actually be placed in. This is why the premium materials of the speakers can suffer next to heat sources. This can even mean keeping the speakers away from the PC with at last a few inches. Placing the speakers on the PC unit is not recommended as a result. With a professional profile with a friendly compact design, the speakers are highly recommended for those who want a truer audio quality with no compromises. In a way, their true capacity can only be heard with recordings of musical instruments, which is where most speakers fail to offer a deeper frequency coverage. As an affordable option, Beatife Computer Speakers are perfect for the busy person looking for improved sound quality in a distinct package. While most gaming speakers come with complicated cables which require the speakers to be next to a power outlet, the Beatife speakers only need to be close to the computer. This is due to the fact they come with USB connectivity. It is via this port that the speakers get their power from the PC. The audio is still transmitted through a separate AUX-in cable. A distinct advantage of the speakers comes with their compact size. It is why they are mainly used by those who might already have limited space on their desk. A particular use would be for those who have height-adjustable desks. These desks usually require extra attention for the speakers which are connected to the wall plug. But the Beatlife speakers actually connect to the PC or to the gaming laptop, in which case the lack of an extra power cable can come with extra adjustability freedom for standing desks. With a height of just 5” and 5W performance, the speakers are mainly made for those seeking a solution to fit easily with no extra space requirements as many other speakers come with. 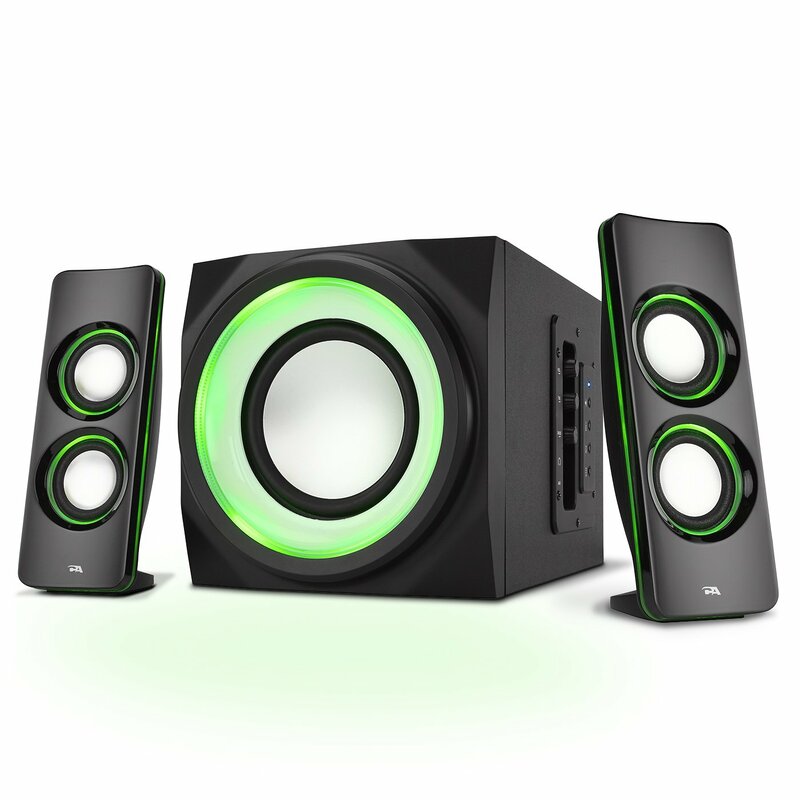 It is also why these speakers are also often seen as a great gift purchase for gamers. In terms of controls, the speakers maintain the same minimalistic approach. There is only one button which is dedicated to the volume control. It is also while those playing online games might consider the speakers as they don’t require too much attention and they are not a distraction as a result. Of course, there are no needed drivers to power the speakers for the first time. A simple plug-and-play approach is a must for these types of speakers. Of course, the speakers are not the loudest. They don’t offer the most impressive bass. This is limited by the actual size of the speakers. It is why those seeking the most volume and powerful bass, might be better suited elsewhere. However, gamers having to deal with neighbors or those who simply value quality acoustics without the need for a strong bass can consider the speakers. Their limitations are also why the speakers are probably one of the most durable options in the class. Purchasing the best PC gaming speakers might be a complex problem. 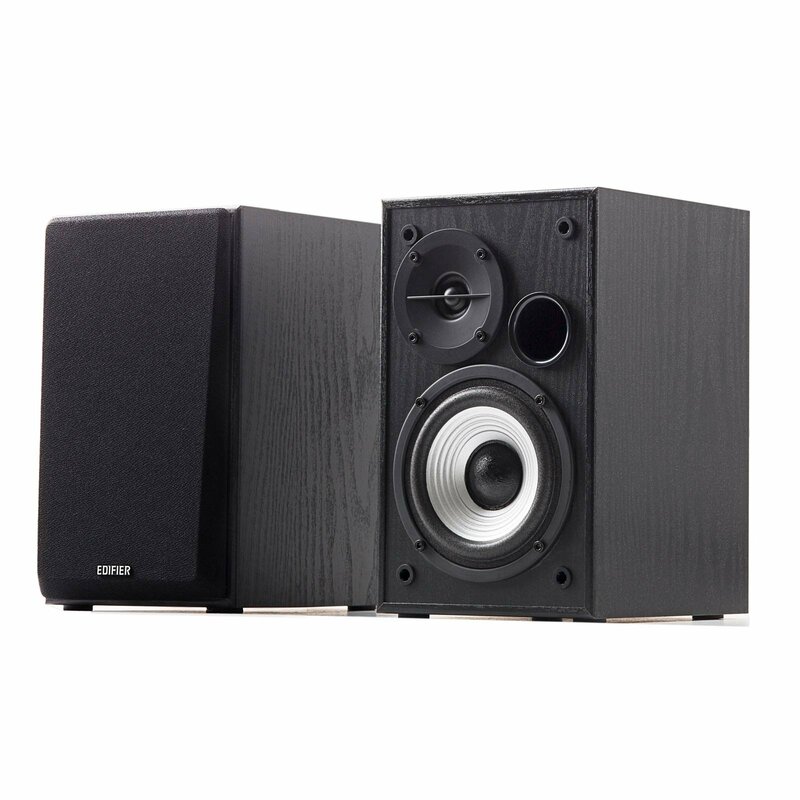 First of all, the price of the speakers differs considerably from category to category. Secondly, the sound performance might get gamers thinking about the best option at hand. However, considering the following criteria is one of the ways in which this process can become simpler. Watts and volume level – The number of watts seems to be where most users stop product research. It is an important characteristic. However, it is not the most important characteristic. This is why all users should also consider the audio quality which comes with the watt performance. Bass vs. low bass – Some audio systems come with subwoofers. While subwoofers look spectacular, they are rarely used at their full bass capacity. First of all, most gamers have neighbors. Secondly, playing games with high bass levels become tiresome after a few hours. This is why proper bass quality also needs to be taken into consideration with the technologies which sit behind it before considering a purchase. Other solutions can also apply in the way the system is set up. This, in itself, is a form of art. Some gamers spend hours finding the best angles for their speakers. It is also one of the times where the subwoofer is placed in a different location compared to the high speakers. Some gamers place the subwoofer on the floor while the satellite speakers remain on the desk. Others place the entire system below the desk. Finally, most casual gamers place the gaming speakers on the desk with all of its speakers. Attention needs to be placed in corners where the sound can bounce off walls and different objects for an unrealistic bass experience. Frequency range – The frequency range in most of these speakers can be between 80Hz and 20Khz. For most users, these figures don’t mean much. But there are a number of games where vocals or instruments create a unique sound experience. Immersive gameplay often requires having a high-frequency range to base the game on. However, this characteristic is becoming more important at the moment, and most manufacturers are starting to adapt their speakers towards more professional-type of technologies. Wired vs. wireless connectivity – Not all PC gaming speakers come with Bluetooth connectivity. Some of them are simply based on old-school 3.5mm connectivity. All gamers should assess the type of speakers they want to use. Of course, the extra wireless technology means the speakers might cost more in the end. But at the same time, not everybody needs wireless performers. However, there is an instance in which Bluetooth-based gaming speakers can be worth it for all users. When gamers also want to use the sound system for other multimedia purposes such as listening to music or watching movies, a wireless audio system might be worth the extra investment. Since most of these speakers can be paired with smartphones, they can also simplify the at-home multimedia experience even further. Size – One of the overlooked characteristics of PC gaming speakers is their size. While everybody loves the look of large speakers, not all users have the space to accommodate them. With gaming PCs and laptops, space on a desk can be hard to find already. This is why gaming speakers come in all shapes and sizes. From the compact options not much more bigger than a mouse to subwoofers which need to be placed on the floor, the options are endless. But at the same time, it is also worth looking into how these speakers integrate into the visual identity of the gaming space. The days of crowded desks in bedrooms are gone. All major manufacturers now advocate minimalist styles which are more suited for the modern living environment. This is seen in the speakers’ space as well. Most gamers simply don’t have the physical space to enjoy all the gadgets they need. It is why some of the best-rated PC gaming speakers are actually not too big or even too small. It all depends on the size of the low-frequency speaker or the subwoofer. It is the subwoofer which can require more free space than all of its satellites combined. As a final note on size, speakers used to be chosen according to the size of the room they would be placed in. Somewhere along the line, this has disappeared, but it should be one of the simple criteria to consider when buying new speakers. Answers to some frequently asked questions about gaming speakers. 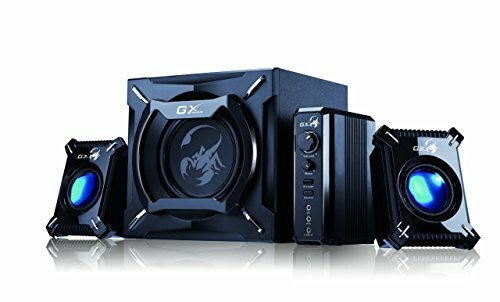 Do I need drivers to install my PC gaming speakers? Many PC gaming speakers are made with a plug-and-play design. However, some of the more complex speakers come with driver installation. If they have various decoding technologies, they might require software installation. Speakers with synchronized lights might also require users to install their drivers before using all of their features. Which bass level works best for PC gaming? Bass in gaming is a matter of personal preference. It might be the case that some players even prefer the bass level as low as possible. Other gamers might not even consider playing a game without proper bass. This is why all users should actually pay attention to how they work with their audio system, as the bass level needs to be adjusted from one game to another and in many cases, multiple times during the same game for the best audio experience. Can I use the sound bar without the bass? Using the sound bar without bass is still possible. In a way, many speakers anticipate this and offer separate bass controls. Speakers without these controls set the bass levels automatically. Do wired speakers perform better than Bluetooth speakers? 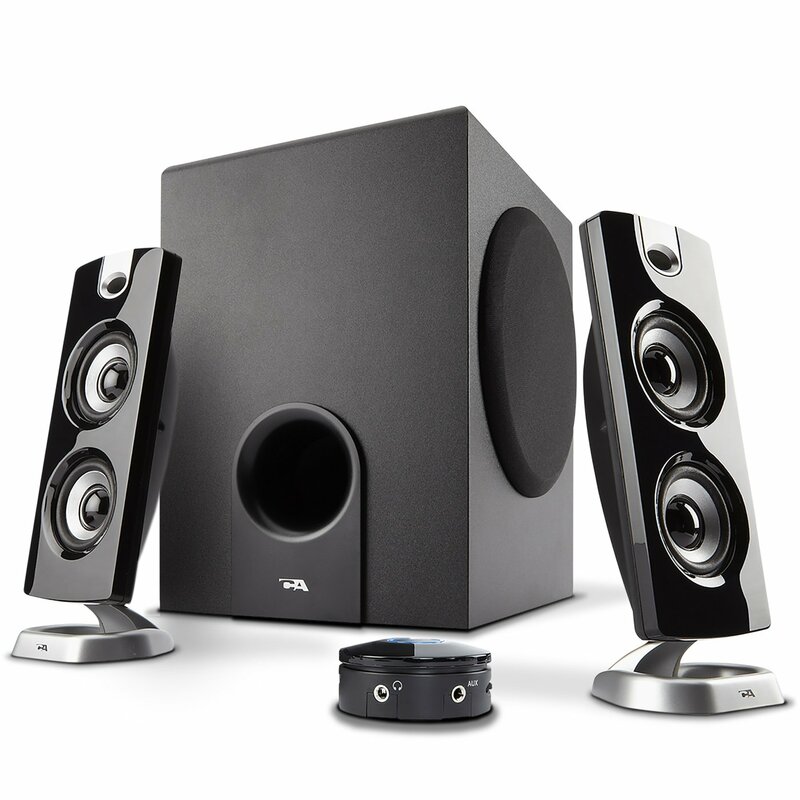 Both wired and wireless speakers perform to a high standard with modern PC gaming speakers. The connectivity of the speakers has more to do with practicality than with sound quality. My speakers are not working, are they broken? Some speakers might need to be connected to a wall plug for power. Making sure the plug is inserted correctly is required for the speakers to turn on. 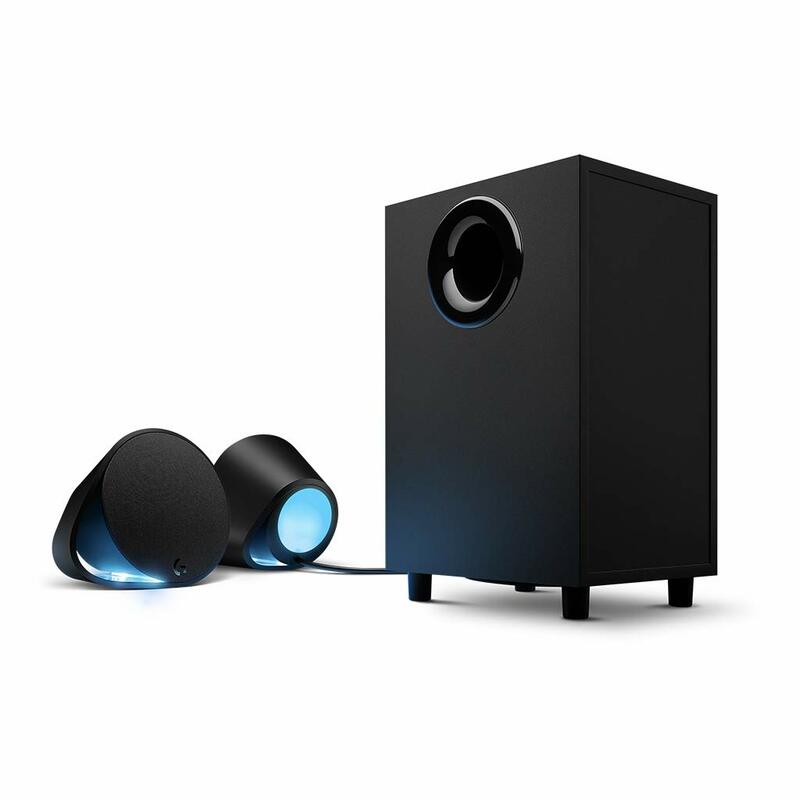 Can I use PC gaming speakers to watch movies? All speakers are versatile with the type of software they can work with, as long as they connect to the computer. There are no speakers which detect a gaming mode at the moment.